We had Hudson’s birthday party today. 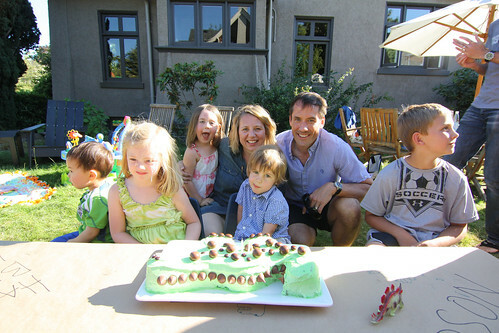 Several of his classmates from preschool, a neighbor, Harry, who is just a few weeks older than Hudson and Mark brought his kids over to meet Havana and Hudson. We pulled out the bouncy house, Gay made a very cool dinosaur cake and we had the party in the yard amidst the deck construction.